We are monitoring confidence in the banking system as reflected by cash withdrawals. The sale of home safes has exploded in many countries. 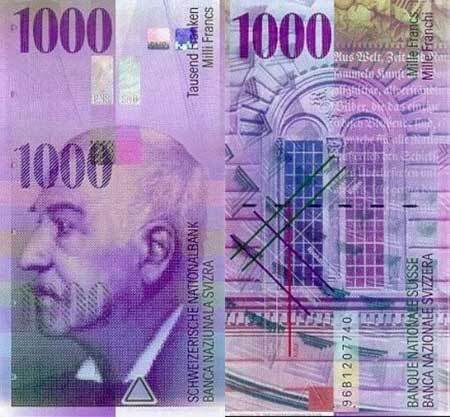 I previously reported that one in ten currency notes in Switzerland being printed is now the 1000 franc note. In fact, there is some 41.6 billion in Swiss francs now in circulation in 1000 CHF notes exclusively. The ECB is truly brain-dead for they thought by moving with negative interest rates, people would spend their money and that would rekindle inflation. They are correct that people would not want to pay negative interest rates. However, they totally never guessed that they would withdraw their money and hoard it rather than spend it. The trend toward hoarding cash really became in 2011. It started to make the news in 2012. Now the German savers are buying home safes as well and pulling out cash. Of course, they attribute this primarily to negative rates. However, the concerns that Deutsche Bank may be in serious trouble is also helping matters. Everything is going as our model has projected. The peak in trusting banks and government is in place. From here on out, all we have is the collapse in public confidence and the 2016 elections bring that home. All we are waiting for now is simply the Crash & Burn. This will be a serious topic for this year’s WEC in Orlando. « US Debt: Who is Really Selling & Who is Buying?